An Alkaline Water Ionizer is a filtration system that uses ion charges to purify the water. 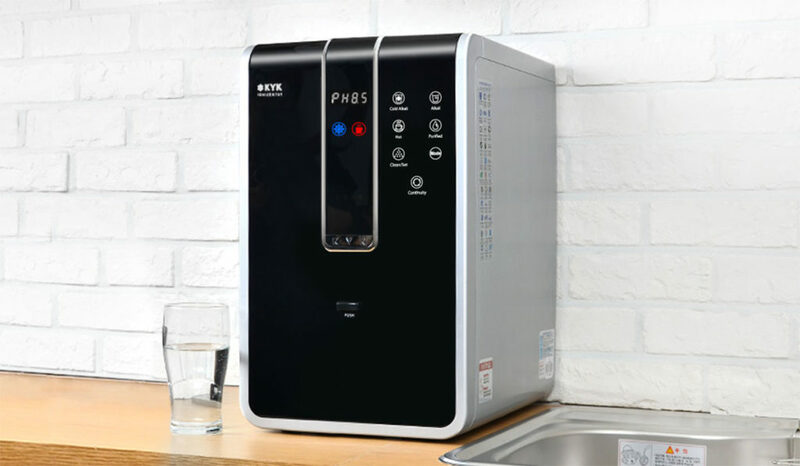 It is a home appliance which raises the pH of drinking water by using electrolysis to separate the incoming water stream into acidic and alkaline components. This machine is small enough to sit on the kitchen counter or can be put under the sink. It is series of processes where tap water flowed into the system; some of the machines have carbon while others have ionizer charged plates or both. They have adjustable pH levels to regulate the water to its lower acidic level or higher alkaline level. It is proved that consumption of alkaline water results in various health benefits. According to online reviews, there are many benefits of using alkaline water like pH balance, Alkaline Anti Oxidant, more absorbable water, best water filtration, taste, health qualities etc. Alkaline Machine helps to balance the pH level in human body. It gives you many levels of pH water, so it can be adjusted according to the needs of the person. It also provides buffers that are essential; these buffers allow the body cells to get rid of acidic waste which also includes fat. These protective mechanisms help a person to live a long and healthy life. The major advantage of drinking alkaline water is the presence of the antioxidant in it. The alkaline machine comes with the high level of natural antioxidants which have a wide range of health benefits. People who are consuming alkaline water experienced repeal from the variety of illnesses. Ionized water is more absorbable as compared to normal water, it makes water wetter. Hydrogen is the main and the most important antioxidant in ionized water which have unique properties of being soluble. Ionized water has the efficiency to break the water down from thick plasters to slender ones. The slim plasters are more able to pass through cell membranes and enter the cells. Alkaline water is tastier than any other drinkable water. It is far superior to filtered water. Alkaline water has the quality of healing, it actually enables the body to heal itself, keep itself healthy and sickness and disease free. A human body consumes a variety of junk and unhealthy food in daily life which are highly acidic and results in harmful diseases, at this point of time it is important that a body must consume healthy water to return balance in the body and this in return improves human health. As it is known that human bodies are composed of mostly water. The brain and water are composed of 70% water. Highly acidic water dehydrates the brain and body. This causes weakness, sickness and led to harmful diseases. These diseases will not grow if the body has an alkaline level.